Time and space are the subjects for this collection of new paintings. How has time spent painting over a long career influenced my work and how can time be the subject? Time is my experience both as a painter and as an observer. Space is the canvas, paint, and brushes that I use to express both visual and abstract thoughts. I think of myself as a constant painter — a painter who continuously tries to translate what I see and feel to visual paintings. Gayle Paul was born in Hammond, Indiana and received her BFA from Drake University. She is a wife, mother, grandmother, and former art teacher. As a resident of Des Moines, Iowa, she worked as an apprentice restoration painter at the Iowa State Capitol, participated in numerous state and local art exhibitions, solo gallery shows, and art fairs, including the Polk Count Heritage Gallery, Two Rivers Expo (Best in Show), and was an artist Co-op member. In 2006 she relocated to Asheville, North Carolina, and now resides in both Asheville and Orlando, Florida. In North Carolina, Gayle has exhibited at the Asheville Art Museum Abstract Painters show, Textures Gallery, Blackbird Frame and Art, Weaverville Art Safari, Brevard College, Carolina's Got Art at Elder Gallery, and works from her studio in Warehouse Studios in Asheville's River Arts District. 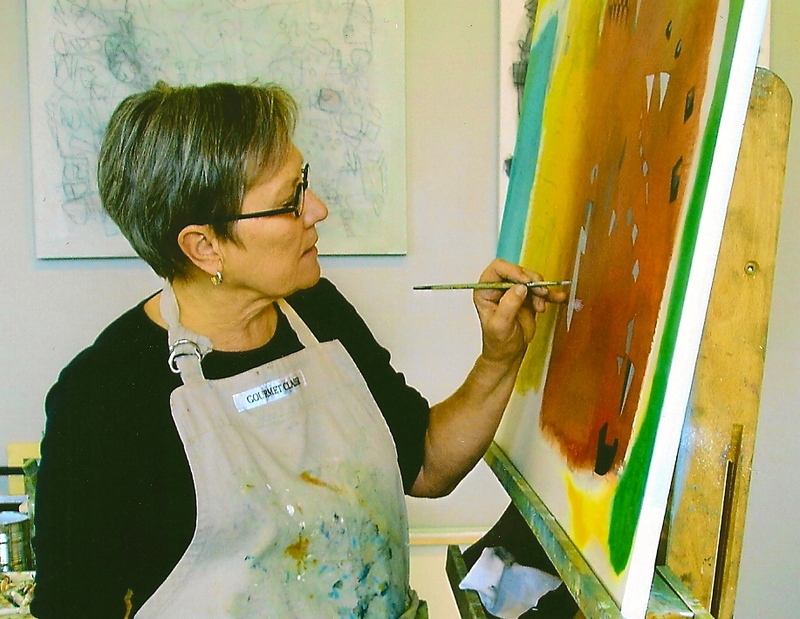 In 2009, Gayle made a conscious decision to withdraw and focus on the direction of her work, in an effort to consider and explore the theory that there are no boundaries in painting. This period of concentrated contemplation revealed to her how she works and how experience plays into making a diverse body of work. Gayle says she is only as good as her last painting.